I cannot believe that it has been almost four years since I started blogging and I never described in any post why Shades of Us exists. I have said it in a million and one ways but never formally said, ‘Oi! This baby girl is here and this is why she was conceived!’ But…that is about to change right now! Shades of Us is a media company discussing social issues affecting Africa, Africans and people of African descent, with a view to facilitating open, honest, unfiltered and unbiased conversations that leads to proper introspection, acceptance of strengths and weaknesses and change of perspective towards the greater goal of a new, refined, and stronger black continent and people. 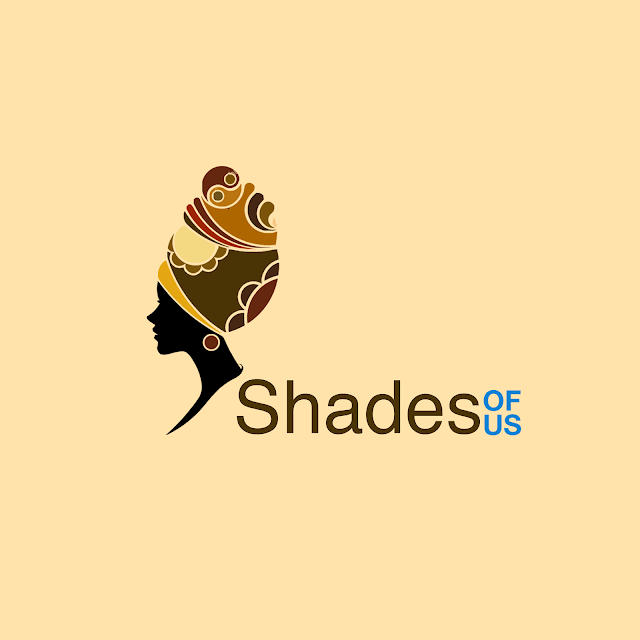 Shades of Us was founded on April 28, 2014, by Ramatu Ada Ochekliye (whoot whoot! That is my name! ), to address dysfunctional social issues peculiar to black people living in Africa or descendants of migrants who may have voluntarily moved to other continents or who may have been forced, through human trafficking and slavery, to leave. Originally, Shades of Us was called Shades of Brown, with ‘…brown’ representing the convergent color of black skin tone and the earth’s richness. After much reflection, I knew the name had to be changed. First, because Shades of Brown was already popular in many countries and for varying products and services and secondly, getting my brand to stick out from that number was going to be nearly impossible. I discussed with my sisters and friends and we were at the point where using my name for was the most favored option. The reason was a no brainer; I was the only person in the whole world with my name, promoting the brand would be promoting myself and it would have just been easier to get the recognition I wanted. We had almost finally decided on this when I took a step and analyzed the name. I love my name to the moon and back but I wanted to create something that was bigger than me. I wanted something that could grow into a shared vision with the people who felt connected to my stories. So we brainstormed again and came up with Shades of Us. The founding principle of Shades of Us is the belief that all human beings are equal, have the same basic human rights and should be afforded the same respect and opportunities that guarantees the growth and development of each individual. Based on this founding principle, Shades of Us is subscribed to all thirty articles of the Universal Declaration of human rights and works towards promoting these rights for every human being but especially for every black person. Beyond the human rights declaration however, Shades of Us has adopted nine of the seventeen Sustainable Development Goals as focal points of the change to implement. These goals include no poverty, zero hunger, good health and wellbeing, quality education, gender equality, clean water and sanitation, reduced inequalities, peace, justice and strong institutions and being open for partnership for the goals. These goals translate to Goals 1, 2, 3, 4, 5, 6, 10, 16 and 17 of the sustainable development goals, which we believe should be the bible of development for all peoples of the world. Of these goals, we extol the virtues of gender equality and reduced inequalities more because we believe that they are springboards to achieving all the other goals we have adopted. We are especially biased towards the issues that affect women and children. This is because we believe that globally, black and brown women and children have been the most disenfranchised in all indices of human development and so, we believe that speaking and acting against societal norms and ills that predominantly affect women and children would redress years of inequality and the drawbacks associated with it. Phew! The last three paragraphs were so serious, right?! I almost felt like I was talking to the United Nations in a bid to get funding for the project. That is in the offing by the way. We have so much work to do! Anyway, you may have noticed I described Shades of Us as a company, right? Well…because it finally is! Whoot whoot! Dancing the gwara gwara! Our registration came through this month after months of debating whether this was the route we wanted to take or not. But…we cannot continue to put out all this original content and hope to get that paper if we are not serious! So… we knew we had to become a business so that we can grow. Even one of the religious scriptures talks about moving from milk to solid food in a parable about maturity. And a great prophet once said, ‘Jungle don mature’. We are that jungle! So our business is open! We tell stories for Africa. We mean this literally and as a pidgin statement of exaggeration. Of course we have various methods of disseminating our stories to engender discussion. 1. Blog: Primarily started as a site to air personal grievances, Shades of Us has grown to a magazine of articles, in-depth interviews, news and fictional stories from our writers – and again, that is me, myself and I with each personalities that has a mind of their own – and other writers. 2. Podcast: The Shades of Us podcast is called The Review. We discuss music and movies put out by black people and share our thought on whether they are great, good, subpar or horrible. 3. Video log: This is very personal because it is where we, as Africans say, ‘show ourselves’. In 2016, we started partnering with other organizations like Save Our Women (SOW) Foundation, Women Regaining Value etc, to our move our activism beyond talk to impacting actions. We will continue to partner with these organizations but we are taking a step further. This year, we are going to host what would become an annual event called Safe Spaces. Safe Spaces is an avenue to bring together victims of abuse to talk about their abuse, how it affects their lives, how society – families, schools, governing authorities, law enforcement etc – reacts to their abuse and what hope they have going forward. Each of these component will be further explained in subsequent posts because they all have varying aspects to them. Can you tell we are bursting with excitement?! And to show you just how excited we are, we will like to formally introduce you to our new face; the Shades of Us logo! Don’t forget to keep up with us on social media. We are everywhere. Just click. Like. Follow.